The obituary below – including details of the memorial service – will be printed in several local newspapers later this week. Bill Howley, 62, of Chloe died on April 23 in a car accident near Exit 79 on I-79. He was on his way to a meeting in his capacity as the recently-hired program director for WV SUN, an organization that promotes self-reliance through solar cooperatives in West Virginia. His last views were almost surely of the beautiful spring leaves and redbud blossoms. Bill was born in Washington, D.C., to William J. and Sally N. Howley. He found his true home on the farm that he and his wife, Loren, built together in Calhoun County after meeting in college. He passed innumerable teachings to their two sons, and he delighted in showing the farm to his two grandchildren. Bill attended McDonogh School in Owings Mills, Md., and received a B.A. from Yale University in 1974 and an M.B.A. from Ohio University. In addition to his life as a farmer, Bill worked tirelessly to improve the lives of West Virginians. For many years, he advised artists and arts organizations on community projects throughout West Virginia and Ohio. He also coached and umpired children’s sports teams, organized community classes on Shakespeare, tutored and mentored many children, and was involved in various community organizations. Bill provided research and business assistance to various local law firms, including his wife Loren’s. In recent years, Bill became a leading consumer advocate on energy issues. He was an organizer of the successful fight against the PATH transmission line, which would have increased electric costs for ratepayers. He founded The Power Line, a widely read online information source about the electricity industry and renewable energy issues. During and after the 2014 water contamination crisis in Charleston, Bill contributed his expertise and strategy skills to help organize citizens demanding reform. His survivors include his wife of 40 years, Loren; his children, Jacob Howley and Maria Paoletti, of Mount Rainier, Md., and Isaac Howley and Bilqis Rock, of Baltimore, Md. ; his grandchildren, Khymi Russell and Solomon Howley-Paoletti; his brother and sister-in-law, John and Nora Howley, of Silver Spring, Md. ; his nephew, Joseph Howley, of New York, N.Y.; and his niece, Malka Howley, of Philipsburg, Mont. Bill touched the lives of other family members and countless friends and colleagues, who will remember his passion, intellect, and humor. A memorial service will be held for Bill at 2:00 p.m. on Saturday, May 2, at Heartwood in the Hills, 229 Heartwood Lane, Big Bend, WV 26136. In lieu of flowers, donations may be made to Heartwood in the Hills or to the Community Power Network, 1826 Lamont Street NW, Washington, DC 20010. A map and directions to the memorial service are available on the Heartwood in the Hills website: http://www.heartwoodinthehills.org/about-us/location-directions.html. 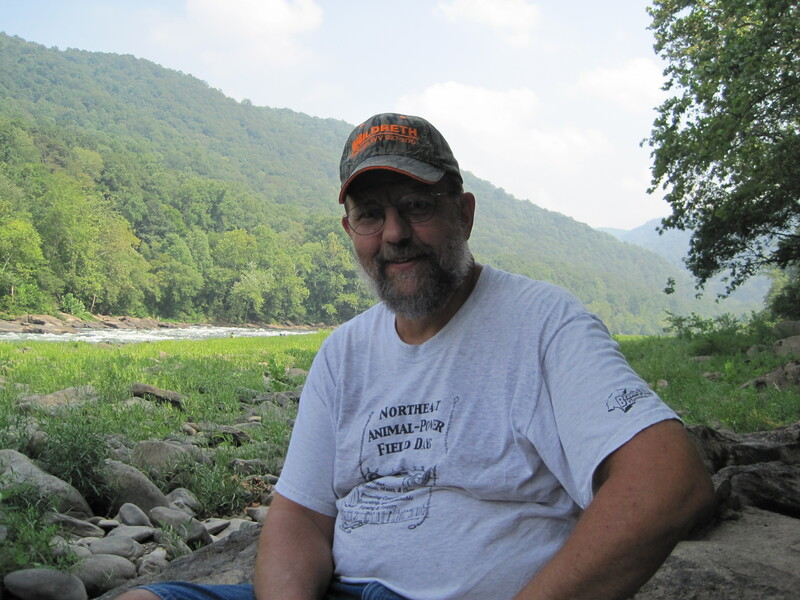 Bill Howley, founder and editor of The Power Line, died in a single-vehicle motor vehicle collision on the afternoon of Thursday, April 23, 2015, while driving to a WV SUN meeting. He was 62 years old. He died surrounded by the verdant spring hills of central West Virginia, working hard for the future of his state. He took immense pride and joy in his work with fellow West Virginia energy activists. His wife and family are arranging his memorial service; details will be posted here. Today, the New York Times published a good look at how Hawaii’s residential solar power industry, the most advanced in the US, is forcing obsolete power companies to change, and how those power companies are fighting back. Regular readers of The Power Line are already familiar with the issues, as well as the Edison Electric Institute’s agenda of sabotaging small scale solar generation. The Times article about Hawaii shows why the electric industry is fighting a losing battle. The utility wants to cut roughly in half the amount it pays customers for solar electricity they send back to the grid. But after a study showed that with some upgrades the system could handle much more solar than the company had assumed, the state’s public utilities commission ordered the utility to begin installations or prove why it could not. It was but one sign of the agency’s growing impatience with what it considers the utility’s failure to adapt its business model to the changing market. Hawaiian Electric is scrambling to accede to that demand, approving thousands of applications in recent weeks. But it is under pressure on other fronts as well. NextEra Energy, based in Florida, is awaiting approval to buy it, while other islands it serves are exploring defecting to form their own cooperative power companies. It is also upgrading its circuits and meters to better regulate the flow of electricity. Rooftop solar makes far more power than any other single source, said Colton Ching, vice president for energy delivery at Hawaiian Electric, but the utility can neither control nor predict the output. For customers, such explanations offer little comfort as they continue to pay among the highest electric rates in the country and still face an uncertain solar future. And why is that? Because the power company has failed to install the digital metering technology that allows the power company to “see” behind the meter systems. This is not a big deal. But Hawaii Electric, like all major electric utilities, prefers to fight the solar trend, instead of building a more reliable and resilient distribution grid. Here is a link to an article about the study that Times reporter Diane Cardwell mentions in her story. Enphase Energy, maker of micro-inverters and digital management systems, showed that Hawaii Electric’s Colton Ching was simply wrong to claim that the company couldn’t add any new solar generators to its system. Renewable power company NextEra Energy is showing Hawaii Electric what happens when dinosaurs refuse to change. They disappear. Installers — who saw their fast-growing businesses slow to a trickle — are also frustrated with the pace. For those who can afford it, said James Whitcomb, chief executive of Haleakala Solar, which he started in 1977, the answer may lie in a more radical solution: Avoid the utility and its grid altogether. Customers are increasingly asking about the batteries that he often puts in along with the solar panels, allowing them to store the power they generate during the day for use at night. It is more expensive, but it breaks consumer reliance on the utility’s network of power lines. Today, The State Journal published energy reporter Sarah Tincher’s story on the differing views of HB2201. “FirstEnergy is concerned about the way we credit customer generators because we credit them back at a rate that is equal to the retail cost they pay for electricity,” said Todd Meyers, a spokesman for FirstEnergy’s West Virginia subsidiaries, Mon Power and Potomac Edison. So, now FirstEnergy’s PR guy is directly contradicting FirstEnergy’s chief lobbyist Sammy Gray’s statements to the WV House Energy Committee and the WV Senate Judiciary Committee that FirstEnergy interpreted the “cross-subsidization” language in HB2201 as applying only to direct costs of connecting individual net metered customers to a power company. Has FirstEnergy changed their minds? Or was Sammy hiding something from WV legislators? Among such reports is a Missouri Energy Initiative study, released in winter 2015, which evaluated the benefits and costs of net metering in Missouri, which has a similar fuel mix and retail electricity pricing to West Virginia. The study quantified the benefits of load reduction and reduced greenhouse gas emissions, in addition to the costs associated with cross-subsidization among consumer groups, and increased administrative costs in managing a new customer class between 2008 and 2012. According to the report, the net effect was positive for the state each year. The MEI study also suggested benefits of a decentralized energy system, reduced energy prices, local economic boost from manufacturing and installation of net metering systems. Another study, conducted by Synapse Energy Economics Inc. for the Public Service Commission of Mississippi in September 2014, modeled the costs and benefits of net metering to the state of Mississippi, which doesn’t currently employ a net metering program. The agency’s Total Resource Cost assessment, which included costs of solar panel installation and administrative costs, as well as benefits of avoided costs to the utility, suggested net metered solar rooftop would result in $27 per MWh of net benefits to the state of Mississippi. FirstEnergy and AEP had better watch out. If similar studies are done for the WV PSC, they may have to end up paying net metered customers more for their electricity, not less, to pay us for the benefits we give to all customers. By the way, that is called a feed-in tariff. Today, the Charleston Daily Mail ran my rebuttal to Jim Fawcett’s March 17 op-ed which laid out AEP’s line of attack on the Legislature’s bungled HB2201. Here’s the link to my op-ed. Beijing, where pollution averaged more than twice China’s national standard last year, will close the last of its four major coal-fired power plants next year. The capital city will shutter China Huaneng Group Corp.’s 845-megawatt power plant in 2016, after last week closing plants owned by Guohua Electric Power Corp. and Beijing Energy Investment Holding Co., according to a statement Monday on the website of the city’s economic planning agency. A fourth major power plant, owned by China Datang Corp., was shut last year. The facilities will be replaced by four gas-fired stations with capacity to supply 2.6 times more electricity than the coal plants. The closures are part of a broader trend in China, which is the world’s biggest carbon emitter. Facing pressure at home and abroad, policy makers are racing to address the environmental damage seen as a byproduct of breakneck economic growth. Beijing plans to cut annual coal consumption by 13 million metric tons by 2017 from the 2012 level in a bid to slash the concentration of pollutants. Shutting all the major coal power plants in the city, equivalent to reducing annual coal use by 9.2 million metric tons, is estimated to cut carbon emissions of about 30 million tons, said Tian Miao, a Beijing-based analyst at North Square Blue Oak Ltd., a London-based research company with a focus on China. Coal emissions are killing more than half a million Chinese people a year. The Chinese government now realizes it must do something, and do it fast, or there will be no more country to govern. Also, don’t think for a minute that China is going coal free. 6 of the largest 10 coal-fired power plants in the world are in China, and they remain open. The smallest of them has a capacity of 4600 MW. The largest coal burner in the US is the Bowen Plant in Georgia, with a capacity of only 3499 MW. But make no mistake, China is no longer relying on coal for new energy. The Beijing plant closures are symptoms of rapidly accelerating trend. This is more bad news for the US coal industry. Larry Shapiro at IEEFA has an excellent new post on the secretive cartels that control who can connect to the US electrical grid, how much we pay for our electricity, and who gets energy and who doesn’t. Readers of The Power Line know how I feel about PJM Interconnection. A fact little known to most Americans is that the grid they rely on for electricity is controlled by quasi-public organizations whose lavishly paid executives and board members conduct business in deep secret. Independent system operators, or ISOs, work almost entirely behind closed doors, even though their every action affects public electricity customers of all stripes—residential, business and public sector. I call them quasi-public because so much of what they do so profoundly affects the utility-consuming public, even as their corporate structure and inner workings are shrouded in mystery. ISOs in effect are public agencies exempt from public scrutiny—and, as a sadly predictable result, quasi-public corporations gone wild. A little background: ISOs run the electric grid region by region across the United States. Some cross state lines. Those include PJM (whose initials are derived from its footprint: Pennsylvania-New Jersey-Maryland) and MISO (Midcontinent Independent System Operator: 11 Midwestern states and part of Canada). Others, such as NYISO, the New York Independent System Operator, are confined to one state. The Federal Energy Regulatory Commission (FERC) mandates that each ISO ensures that enough electricity is generated across the grid to avoid blackouts. FERC also charges each ISO with making sure electricity is fed into the grid at competitive prices and that the appropriate power-generation mix is in place. Who knows, though, if any of this is happening? Before Enron-backed laws were passed by the US Congress deregulating the US electrical system, all power companies were confined to operate within single states. State regulators had direct access to all of the vertically integrated power companies they regulated. Because these companies were monopolies and had no competitors, there was no reason for hiding this information from the public. Now, claiming confidentiality of competitive secrets, power companies and RTOs/ISOs hide all their internal documents from public scrutiny. Also, because all power company business is done in fragmented “markets” ISOs have grown huge bureaucracies of lawyers, engineers and paper shufflers to oversee the complex mess. NYISO’s tax filings—which by law are public because the organization positions itself as a tax-exempt nonprofit—hint at just how well the people who control ISOs are compensated. According to the NYISO’s 2013 tax return, Stephen G. Whitley, its president and CEO, was paid $1,804,749 that year. I’m not saying Whitley didn’t deserve that much. His is specialized work and his average workweek was said to be 60 hours. It’s still a lot of money. The members of the NYISO’s part-time board of directors also did okay. For working a reported 12 to 16 hours per week, they took home from $55,167 to $156,500 in 2013. Nice work if you can get it. Add to these very good personal payouts the fact that board members choose their board cronies—without public review—whenever there’s an opening, and you have a system that ensures perpetuation. All these salaries are passed on to rate payers.